I've made drinking water a daily habit, although I will admit that a couple of years ago I was more likely to drink anything but water. Now I don't drink anything but water, except for a cup of coffee in the morning and once in awhile a beer with dinner. I love it. Water is one of the best tools for weight loss, first of all because it often replaces high-calorie drinks like soda and juice and alcohol with a drink that doesn't have any calories. But it's also a great appetite suppressant, and often when we think we're hungry, we're actually just thirsty. Water has no fat, no calories, no carbs, no sugar. Drink plenty to help your weight-loss regimen. So you're convinced that water is healthier, but you'd like to know more about how to make drinking water a daily habit. This is a debatable question. What's clear is that the old recommendation of "eight 8-ounce glasses a day" isn't right, for several reasons: that amount includes all dietary water intake, including food and non-water beverages; it also ignores a person's body weight, which is an important factor in figuring the amount; it also varies if you are sick or exercise. 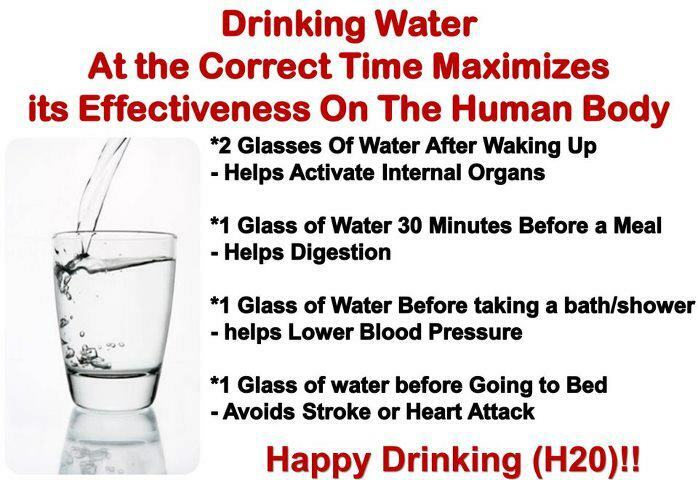 It's also not good to just drink when you're thirsty -- you're already dehydrated by then. Best is to form a routine: drink a glass when you wake up, a glass with each meal, a glass in between meals, and be sure to drink before, during and after exercise. 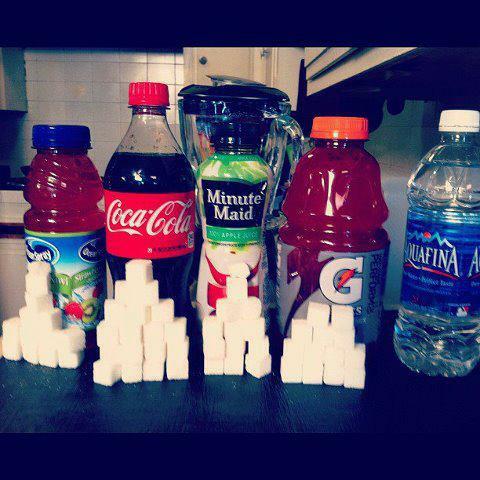 Try to generally keep yourself from getting thirsty. A lot of people find it useful to get a big plastic drinking bottle, fill it with water, and carry it around with them all day. I like to keep a glass of water at my desk, and I drink from it all day long. When it's empty, I fill it up again, and keep drinking. Set your watch to beep at the top of each hour, or set a periodic computer reminder, so that you don't forget to drink water. Instead of spending a fortune on bottled water, invest in a filter for your home faucet. It'll make tap water taste like bottled, at a fraction of the price. Exercising can help make you want to drink water more. It's not necessary to drink sports drinks like Gatorade when you exercise, unless you are doing it for more than an hour. 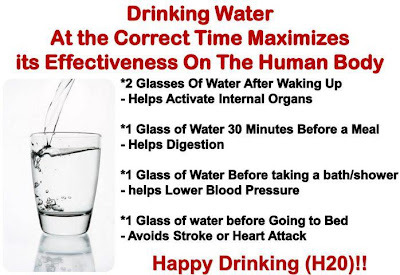 Just drink water. If you're going to exercise, be sure to drink water a couple hours ahead of time, so that it will get through your system in time, and again, drink during and after exercise as well. It often helps, when forming a new habit, to keep track of it -- it increases awareness and helps you ensure that you're staying on track. Keep a little log (it can be done on an index card or a notebook), which can be as simple as a tick mark for each glass of water you drink. Written on 07/03/2008 by Leo Babauta and republished on 2/28/10. Leo offers advice on living life productively simple at his famous Zen Habits blog.